We view the fight against bed bugs in NJ & NYC as a war. Accordingly, we know our enemy: how they eat, sleep, live, reproduce and most importantly what kills them–high temperature. 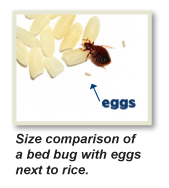 We know that a bed bug heat treatment temperature of 122° Fahrenheit kills all bed bugs, as well as their nymphs and eggs. In the war against NJ & NYC bed bug problems, you need the right plan and the right weapon: the BedBug Chasers Bed Bug Heat Treatment system. Our BedBug Chasers One & Done bed bug heat treatment system quickly turns your NJ & NYC home into a superheated convection oven. 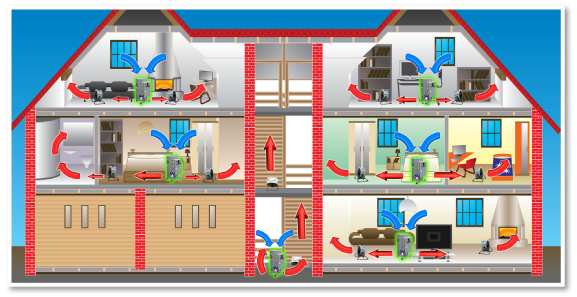 It uses clean, 100% chemical free, highly specialized electric heaters and a proven methodology to quickly and effectively rid your home of any infestation. Don’t be fooled, not all heating methods are equal. Other heating systems raise the temperature slowly and unevenly, allowing bed bugs time to escape to cooler areas in your walls, your basement or deep inside your mattress. When the room cools down, they quickly return to their food source—the blood of you and your children! If your home is heated unevenly, some areas may never reach a temperature needed to kill the bed bugs while other areas could reach dangerously high temperatures causing thousands of dollars worth of damage to your home – the BedBug Chasers heating are SAFE for your Home and Family! We do not arbitrarily blow heat into your home or run around chasing bugs with a wand. We analyze the infested space, calculate your exact heating requirements and strategically place our BedBug Chaser heaters and fans throughout your home to ensure a quick, even and SAFE “bake.” We monitor the temperatures in each room to ensure that your entire home, its contents and walls are heated to critical temperature. Once all of the temperature recordings have been captured via our proprietary software, we prepare a comprehensive report describing what we encountered, the measures taken to cleanse your home and include illustrative graphs identifying the temperatures achieved throughout your property.